Growing up in the South during the 80s, particularly in Tamil Nadu meant that there was only one name on everyone’s lips when it came to music, Ilaiyaraaja. Doling out one hit song after the other for movies in all the Southern languages, he was way beyond a cult favorite. 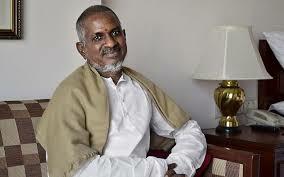 Folks used to whistle and scream in excitement when Ilaiyaraaja’s name showed up on the silver screen in movie theaters. Such acts of adoration was only reserved for the movie hero. In an interview he did at the Google HQ he talked about the regimen he followed morning to night every day for more than thirty years of his life. Unbelievable discipline,dedication and determination to the art. Personally, I think the Film industry did a disservice by locking him to movie songs that do not allow the full range of music, melody and vocals to play out like in a symphony. This makes all his songs wonderful to listen but don’t sustain beyond the few minutes they are played to finish the song. Some of the below should have been more of what this genius should have doled out in his lifetime!